ENVI OneButtonTM is an easy-to-use automated tool to process aerial imagery. Using the most advanced photogrammetric and computer vision algorithms, it produces a number of outputs including orthomosaics and points clouds, enabling accurate measurement and analysis options. It does not require any previous knowledge in aerial imagery processing (photogrammetry) and its outputs can be easily ingested by both ENVI and ArcGIS. ENVI OneButton allows easily and automatically create fully georeferenced products in 2D and 3D. OneButton™ and ENVI together provide customers with an end-to-end solution to develop new or extend existing GIS applications with high resolution aerial imagery and advanced analytics. Uses GPU and multiple cores for very fast processing: ENVI OneButton can take advantage of high end graphic cards and can run on multiple cores to ensure fast processing times. Processing report showing details about the results, statistics, and various quality metrics to help analyze the results. Fully automated image-stitching, feathering, light and color balancing for exceptional results. Using a robust bundle block adjustment algorithm to process all types of imagery from any aerial platform. Geospatially reference imagery to a high degree of accuracy. Integrate aerial imagery with other modalities of geospatial data like LIDAR. Visualize, measure, and extract 2D and 3D information. 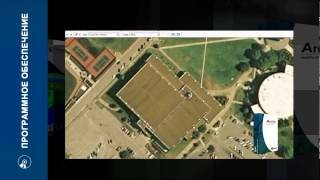 Manage and quickly access large collections of aerial imagery. Easily share and distribute aerial imagery derived products. Quickly deploy tailored solutions for a specific application. Take advantage of new high quality imagery to extend ENVI. Complete control over the photogrammetric process. Advanced point and mosaic editing tools for projects with higher accuracy and quality requirements. All ranges of sensors are supported (small, medium and large). Different cameras, for example from GoPro to professional. Esri Mosaic Dataset - can be published on an ArcGIS Server and also ENVI Services Engine and ENVI for ArcGIS Server.